RIVERTON, KS.--- "From the Joplin tornado and the Moore tornado, I think that opened a lot of people's eyes when we saw videos from inside the schools, that what we have is not adequate and we need to move forward," said Todd Berry, Riverton Schools Superintendent. 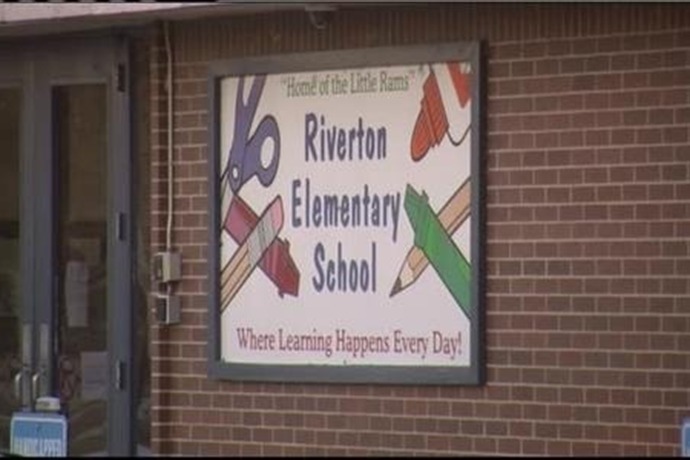 The Riverton Board of Education is working with community members to discuss a potential bond proposal that will improve the schools facilities. "We currently have 5th grade students across the road on the south side of the school and some mobile units. We would like to get those classrooms back in the building," said Berry. Besides that, other major concerns are for a new gymnasium, better security and storm shelters. "This room that we're in is wind but it's not tornado, and if something hit like Joplin, it wouldn't support the kids in here," said Mike Cook, Site Council Member. "The storm shelters we are looking at will double as classroom space," said Berry. They are hoping each will hold up to 500 people. The board and architects at Corner Greer and Associates have listened to students, teachers and the public so far for input. "From the feedback that we received from those three meetings, we will be able to put together our initial thoughts on what the district needs as far as facilities improvements," said Chad Greer, Corner Greer Architects. "I think it's much needed. I think we do need a new gymnasium. I think our fifth grade does need to be added to the building, and I do think we have some security issues," said Lacee Wald, mother. Right now, it is too soon for the board to come up with the cost of this bond since it's in the beginning stages, but parents are for it. "I think if we all go together, I think people will support here in Riverton," said Cook. "I think you're going to see, no matter what the cost, parents and community members are going to stand behind that and do what's best for the kids themselves," said Wald. The school board hopes to have a decision to put forth a bond proposal by December or January and be voted on in the April election.